A proprietary algorithm with a linear-phase delay FIR filter up-samples data to 176.4K or 192K, processed by 3648 MMAC/sec DSP. Data storage in a 1 second buffer prior to conversion, featuring a crystal oscillator with jitter of less than 1ps (1 picosecond) and dedicated re-clocking circuitry. Dual toroid power transformers, one each for the digital circuit and the analog circuit to avoid possible interference. 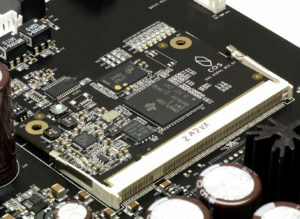 Individual DAC circuit boards with high performance DAC chips, manually tuned and matched, running mono for each channel. Volume control utilizing laddered high precision resistors and an array of analog switches, which are low in resistance, noise and distortion. The room at the audio show where I first encountered the COS Engineering Ltd. DAC 1 featured four companies so fresh that perhaps only one of them might twig in the mind of the average audiophile. Besides COS Engineering, there was Whammerdyne Heavy Industries, VERASTARR, and PureAudioProject. How many of those names do you know? Whammerdyne’s low power amplifiers I had only heard of in the past year. 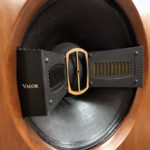 This Spring I finished a third review of the PureAudioProject Trio15 Horn 1 Speaker. VERASTARR cabling had been revealed to me in association with PureAudioProject. To most show goers, however, the room would have been mysterious. I heard positive comments about the room from show attendees, but knowing the capabilities of the speakers intimately I thought the sound in the room was refined but not stirring when it came to macrodynamics. Given that the Whammerdyne The Ultimate Truth Amplifier was pushing only 4.2 watts RMS and peak output of 12.5 wpc, the sound was a bit underwhelming. When I tried to take the listening level up to assess the system in a more aggressive disposition, the outside limits of the amplification were readily apparent as the amp ran out of steam quickly. 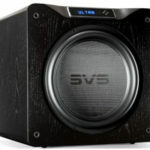 (4.2 watts would be thunderous to the Destination Audio Horns I’m reviewing. – pub.) I had the output of the COS DAC 1 pegged and the speakers were not showing the powerful grip on the bass that they are capable of producing. Yet, that did not prevent me from hearing the smooth subtleties of the digital source, the COS D1. So, when I received a call from Mike Powell, the U.S. Distributor for COS Engineering, to review the D1, I thought it good idea. COS does not seem interested in pursuing a war of attrition against other manufacturers based on the highest bit depth and frequency rate. Up-conversion to 32 bit and double DSD has become commonplace. Nowadays, manufacturers need to explain why they would not do so. COS claims that a superior signal at 24bit/384kHz is more appealing than a higher degree of processing. One company that holds a similar perspective is Border Patrol Audio Electronics. 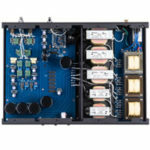 Border Patrol’s design philosophy that guided the development of their DAC SE is that in bypassing up-conversion and sticking with an ultra short signal path, more of the integrity of signal is captured. My experience with that DAC convinced me that it is a legitimate design alternative, note that I did not say the only legitimate alternative. 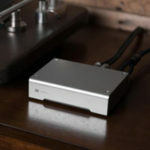 Though the DAC SE had less meat on the bones, it was more transparent than the laddered DACs on hand, the Benchmark DAC3 DX and the Eastern Electric Minimax DAC Supreme. 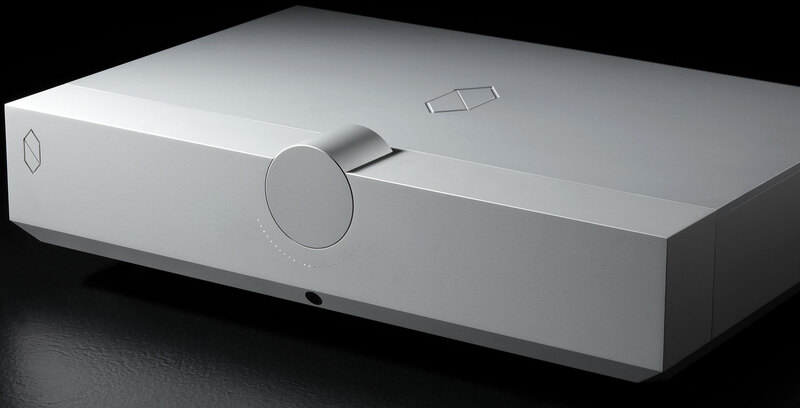 Want to know what the difference between a studio quality and audiophile quality DAC sound is? The COS DAC 1 reveals it primarily as refinement. The arrival of the D1 allowed me to compare straight up a studio oriented DAC and an audiophile oriented DAC to see which one would offer perceptually the most impressive technical sound, and which would offer the most pleasing sound overall. One might think that the Benchmark DAC3 DX would be the favorite for presenting a sensation of precise performance while the COS D1 would perhaps be considered best for an overall sense of listenablility. There is a problem, however, with that premise. Precision is typically extremely pleasing, as is evidenced in the ever-escalating resolution of video, as well as the high aesthetic quality of Apple products. The appearance of Apple products is refined to the extreme to make them seem simple, while they have state of the art complexity operationally. The Benchmark Audio DAC3 DX seems on its own to be terrifically refined; yet, when compared to the COS D1 it losses some luster. The D1 is not just a pretty box made with attention to aesthetics, but has ultra-refined sound quality, too. While I am discussing the aesthetics of the D1 let’s observe the appearance and operations. The D1 appears as a slab of flat finished aluminum with a central, large cylinder, the VOLUME knob. A smiley face array of pinpoint white LEDs beneath indicate power On, Standby, Mute and listening level. Directly underneath the beveled lower edge is the eye for the remote. In back are pairs of RCA and XLR analog outputs, as well as similar inputs. Digital inputs include two SPDIF Coaxial, two Optical TOSlink, and one USB. The D1 does not have an AES/EBU (XLR) input. Two switches controlling the BUF (Buffer) ON/OFF and USB 2.0/1.0 are above the USB port. The unit has a grounding post; the user must supply the wiring to ground the unit. At the 15A IEC connection along with the power switch is a user selectable Voltage switch. The footers are screw-in solid polished spikes, and COS supplies what appears to be an acrylic or light metal square with a pit for each spike to protect surfaces from damage. When setting up the DAC, one nearly needs two people to put the protective squares underneath. Perhaps the best method is to leave the rear spike off entirely, attach the front two spikes and get the square protectors oriented underneath, then lift the unit to add the rear spike, and while still elevated, slide the last square protector underneath. The unit is massively built, completely inert in feel, has dead-on perfect movement of the VOLUME knob, emits no noise, is impervious to movement from affixing heavy power cords and interconnects, is pure pleasure on the eyes in terms of the forgiving but completely clear LEDs in either dim or bright light. I don’t know if I have handled any other DAC that ticks off such a list of considerations and gets them all correct.